(L-R) The Executive Vice Chairman of NCC, Prof Umar Danbatta, Minister of Communications, Mr Adebayo Shittu, President of Association of Telecommunications Companies of Nigeria (ATCON) Mr Olusola Teniola and the Representative of National Information Technology Development Agency (NITDA) at the Post-Nigeria National Broadband Plan 2013-2018 on Thursday in Abuja. UMAR Danbatta, Executive Vice Chairman, Nigerian Communications Commission (NCC) says the commission will deploy massive broadband infrastructure to rural areas to boost internet access. 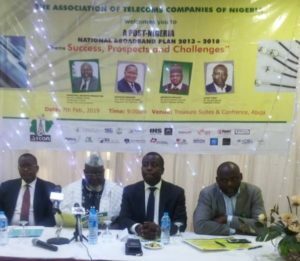 Danbatta disclosed this at the Post-Nigeria National Broadband Plan 2013-2018 on Thursday in Abuja organised by the Association of Telecommunications Companies of Nigeria (ATCON). “What we envisage to happen next is that there will be massive deployment of broadband infrastructure in rural areas that are unserved and underserved. “The whole idea is that we are going to have a fiber access point in virtually all the 774 local government areas in the country. “By the time this massive deployment of infrastructure takes place and is concluded we hope to see the penetration hit the 70 per cent that we are talking about here. Danbatta said that there were close to 200 access gaps mostly in the rural areas of the country. 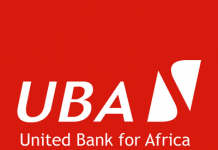 He said that NCC knows where the access gaps are, adding that the Universal Service Provision Funds (USPF) was targeted to close the access gaps. “We intend to do that by deploying more base transmitters’ stations in these areas and recently we have experimented and did a pilot on how we can deploy a rural technology broadband solution in order to bridge the gap faster. “So there is a provision in the 2018 budget as well as 2019 budget for deployment of this rural technology solution to bridge the gap faster. “And we have succeeded in bringing down the number of the access gaps from over 200 to about 190. The NCC boss said that the commission was working with the National Broadcasting Commission to develop guidelines for the introduction of TV White space deployment. He said that the deployment of the TV White Space would deepen broadband penetration. Mr Olusola Teniola, President of ATCON said that the meeting was principally to see how the industry can work towards achieving a greater broadband penetration.